Covers up to 7 additional drivers · Up to £2000 excess coverage · Covers excess on damage to the rental vehicle, theft and damage to windows & tyres. Debit Card Car Hire Offers Annual Cover from £39.99 (21 – 85 Only). Disclaimer: When you hire a car with debit card, sometimes, depending on the location where you want to hire, you will have to buy the insurance straight from the car rental supplier. Please check with our reservation agents before you purchase your insurance. When you rent a car you will be advised that the car will come with insurance which is called CDW and Theft Cover. However like normal car insurance policies this will come with an excess. 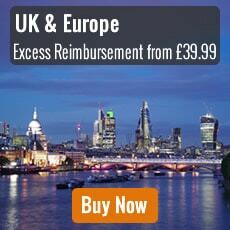 This can range from £500.00 – £3000.00 depending on the supplier you book with. In the event the car is damaged, stolen or involved in an accident you will have to pay the excess amount. This is known as car hire excess. Let us take the worry away from you, for as little as £39.99 we can ensure that in the event the car is damaged, stolen or involved in an accident even if its your fault we can guarantee you will not lose penny! This is a very popular option for expats who visit the UK on a regular basis, as if you purchase cover direct with the suppliers this can cost you up to £15.00 per day which is very expensive. Also if you plan to go on holiday anywhere in Europe and want to hire a car the policy also covers car hire excess in any European country. How Insurance Excess Protection Works? 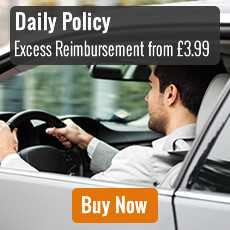 The policy basically covers the policy holder not the actual car. When collecting the car from the supplier you will be asked whether you would like to purchase additional Insurance Excess Protection. Once you have this policy you decline this as you will have cover already. Is the car whilst on hire to you is damaged or stolen the car hire supplier will charge you the excess on the card you paid for the car hire with. Then you will be reimbursed the amount charged through the insurance company. This is a very quick process and usually done within 14 days. 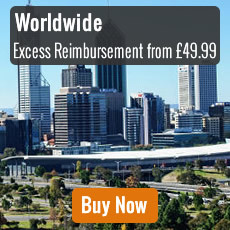 If you want to speak to one of our experts about Excess Reimbursement, you can give us a call on +44 0 113 88 00 408 or fill out the enquiry form at the left hand side and we will answer any questions you may have regarding car hire, insurance or your payment method.